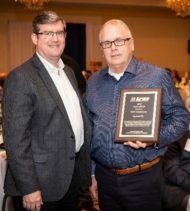 For the past 18 years, the National Maintenance Agreement Policy Committee (NMAPC) has been honoring construction companies for noteworthy safety accomplishments at the annual Zero Injury Safety Awards Gala (ZISA). 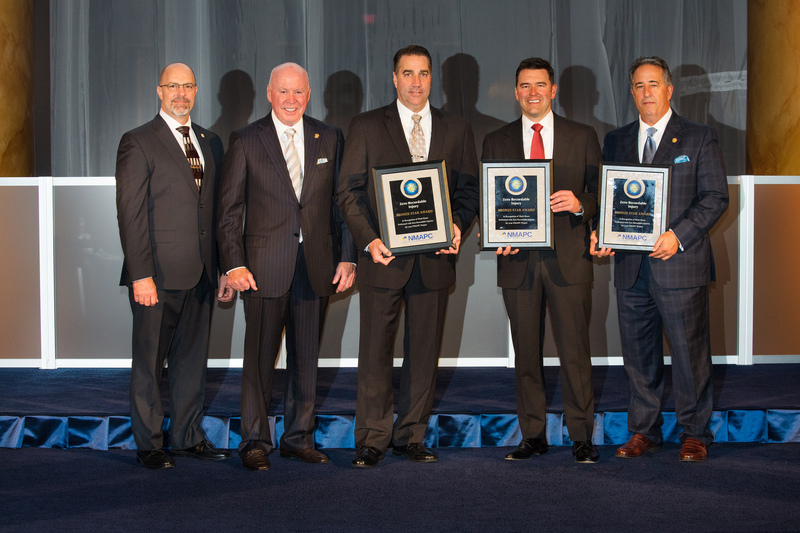 This year, BMWC was awarded with the highest honor as well as five other outstanding safety achievements. 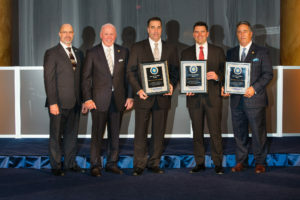 These awards are given to recognize companies with injury-free work from the previous year. BMWC was awarded the Gold Star, which is the highest award, for completing 1,478,701 hours with zero incidents at a refinery in Joliet, IL. 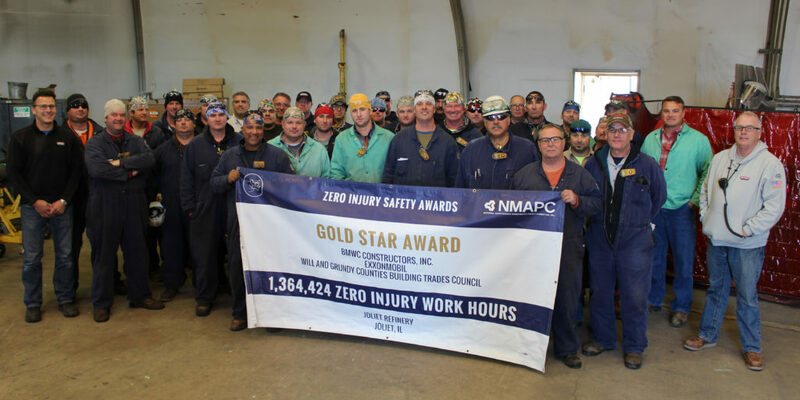 BMWC was awarded two Bronze Stars as well, the first for 391,822 work hours without incident at Marathon in Canton, OH, and the second for 372,769 work hours at IPL in Petersburg, IN. Finally, NMAPC awarded BMWC with three Certificates of Merit. The first was for 181,844 injury free work hours at CITGO Refinery in Lemont, IL. The second for 83,356 safe hours at Procter & Gamble in Lima, OH; and the last for 71,718 injury free work hours at the LyondellBasell in Morris, IL. Safety has been one of BMWC’s guiding principles for over 60 years and has been implemented into everything we do. It is a “Safety for Life” commitment to send each employee home as healthy as when they arrived. This is the first time that BMWC received awards for job sites in 3 different states (Indiana, Illinois and Ohio). Our teams wouldn’t be successful without great leadership, it’s BMWC’s strong leadership and trust in their teams that creates a culture of safety in the workforce. We also want to thank each team member that worked diligently and consistently to achieve this outstanding award and to continue pressing on towards a zero-injury workplace. BMWC is proud to have such a phenomenal team.